Proper storage of any kind of items consists of the proper packing, arranging in the storage area, and in the environment. For example, is there moisture, is it windy, is it hot and dry, do rodents or bugs have easy access to the items, is there a danger of floor. And yes, there are good and bad ways to pack clothing and shoes. How to store clothes and shoes? Keeping your clothes in storage might seem as easy as pie at first, but the more you think about it, the more questions about the right and the wrong way to store clothes will come up in your head. Packing your clothes for storage - a task that seems so mundane- actually requires a considerate amount of preparations. The most common places for storing clothes in the long term are the basement, the attic, the closet, the garage, or a storage facility. In most of the UK homes, these places are not the ideal place to store such items. Clothes can get easily damaged by the environment or pests. That's why it is not only essential to pack them well, but also to make sure you are keeping them in a safe place. The same goes for shoes. Shoes, of any kind, are not invincible when it comes to keeping them in storage. They, too, need to be prepared. Like anything else, if you do not take care of your items, no one will. How to store clothes to avoid mould? Mould appears when there's moisture in a poorly ventilated place. And this is a common problem in attics and basements and garages. Strong Move advises you to choose a place where the moisture or the temperature is controlled. Many people opt for a storage unit to keep their seasonal items - clothes, sports equipment, decorations, etc. Keeping clothes and shoes properly packed in a safe environment guarantees you that you will be able to take them out of storage and wear them again. For both your clothes and your shoes, the first thing to do before packing them for storage is to wash them and let them air dry well. Add mothballs if you don't mind the smell. Add some sort of freshener with the clothes. Fold your regular clothes to prevent damages by hanging them. Use hangers for the most formal clothes that will wrinkle heavily if folded. Keep shoes and clothes off the ground. How to store clothes with mothballs? Keep in mind that if you will be storing the clothes in your house, specifically in the attic/basement/garage where pests can easily get to them, you might want to invest in mothballs. Especially for long-term storage of your clothes and you are keeping them in plastic boxes/cardboard boxes. Even though mothballs are not the best smelling thing to keep with your clothes, they will keep moths, silverfish and other bugs from damaging them. Mothballs are a cheap and efficient way to prevent such damages to any types of clothing, so make sure you invest in them, if your clothes will be stored for a whole season or more. You can even make your own mothballs with herbs. How to store wool clothes? When winter is almost over, it's time to think about storing your clothes for the next months. And when you hope to wear the same clothing and footwear the next winter, you should pack and store them well. 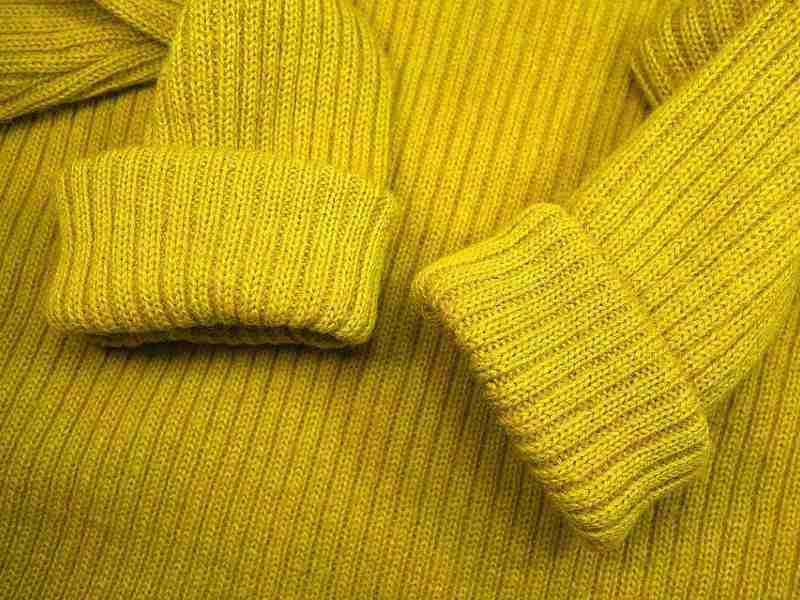 Most winter pieces of clothing are from wool, and if you skip the proper preparations, you might be disappointed when you get them out of storage for the next winter. Bonus tip: Wool clothes should not be stored on hangers. When you put away winter wool clothes, wash and fold them first. If you leave them on hangers, gravity will do its job and stretch them and you will have to buy new ones for the next winter. How to safely store clothes in the garage? If you have space in the garage and are planning on storing your seasonal clothes there, there are some things to consider first. Whether you have cardboard or plastic boxes to store your footwear and clothing in, we strongly recommend that you do not leave the boxes on the ground. Before leaving the boxes with clothes there, make sure to sweep the floor and air out the garage. Invest in a high-quality garage door, not only to protect your car but also to protect your belongings that are stored there. If your garage needs minor repairs- do them before storing things that can get damaged in various ways - pests, mould, weather conditions. Use mothballs when storing clothes in your garage because it provides a nice environment for silverfish and moths to live in. Bonus tip: do not store underwear and delicates in your garage. How to store clothes you want to wear again? When you want to keep certain pieces of clothing and shoes in storage, it is only logical that you intend to wear them again. And that means that you have to make sure you prep and pack them well for the long months of hibernation that you'll be putting them into. Otherwise, you risk getting them out eaten by moths or silverfish, or mouldy, or smelly. We have prepared some tips for you to properly store your clothing items. How to store and preserve clothes? To store and preserve clothes and various textiles, what you can do is use airtight bags. If they will be in a storage facility, they are usually safe from weather conditions and in that case, vacuum sealed bags should help preserve your clothing. But they might not be as safe if they are in a hot attic or damp basement. In places with high humidity, no type of clothing should be packed in a plastic bag or even an airtight bag. In such an environment, use plastic boxes that allow textile to breathe. There is some controversy about vacuum-sealed bags, but most people would agree that they are ideal for short-term storage in a place with low humidity. How to store clothes in boxes? Cardboard boxes are easily damaged by a variety of environmental conditions. Keeping them in a moist or poorly ventilated area guarantees you some level of damage to the boxes, especially if you want to use them long-term. Keeping your clothes in cardboard boxes possesses a great risk that you won't find them the way you left them. The material is not durable and even a simple thing like leaving them on a concrete floor might cause some damages to them. If they will be kept in an off-site storage facility where they will be in a dry space or a temperature-controlled room, the boxes will last longer. How to store clothes in plastic bins? When you decide to use plastic containers/boxes, you have more choices to make. The best option is to get containers that can be closed with clip-on lids. Plastic is more durable than cardboard boxes and can be used in most storage areas, including basements, attics and garages. They are also more reliable for long-term storage. Neither moisture nor pests can get through the tightly closed lid or gnaw the plastic container. You can use them to store other items, not only clothing and footwear. How to store clothes in plastic bags? Don't! Even if you are going to keep your clothes in a climate controlled room, plastic bags are not a good solution for storing clothes. Especially for long periods of time. Plastic bags do not allow the fabrics to breathe and that can lead to your clothes becoming mouldy. How to store clothes when moving house? Sometimes you might need to keep garments, seasonal clothing or all of your clothing items in an off-site storage facility while you are in the process of moving. Depending on the longevity of the storage you can pack and store the items in two ways: for short-term storage or for long-term storage. Keep in mind that your >moving company can also offer you a storage option. How to store clothes in storage? When renting a storage container, you can be sure that your belongings will not be exposed to temperature changes or mould. So you can give yourself the freedom of relying on cardboard boxes. For a short-term storage: wash all pieces of clothing, fold them and arrange them in a plastic/cardboard boxes, or in suitcases. You can keep some items such as jackets on hangers. They are unlikely to become loose for a short time. When packing more formal attire, do not put too many items in one box and crush them. Some items might get heavily wrinkled and take a lot of time to fix when you get them out of storage. What is the best way to store seasonal clothes? Preparing seasonal clothes for storage requires you to pick out the right boxes for storage. As it's mentioned above, plastic containers are the better choice. Seasonal clothes must be stored for more than half of the year, and that's not a little time. You have to pack them well. If you are not against mothballs, use them. If you are packing seasonal accessories, footwear, etc. You can use see-through plastic containers to easily find what you need when you need them again. Wash, dry and fold the seasonal pieces of clothing. Do not use hangers for heavy pieces of clothing because they will become loose and deformed with time. If you keep the clothes in an off-site storage container, you might want to check them up from time to time, if it's allowed. How to prepare your furniture for long-term storage?